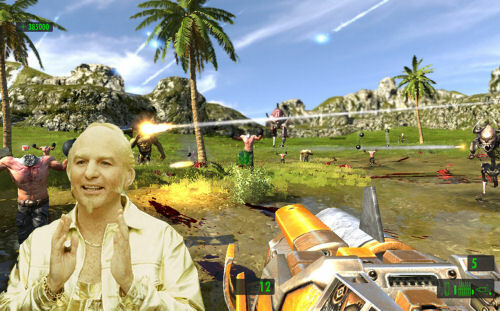 Devolver Digital's Twitter account has announced that Serious Sam HD has gone gooooooooold for the PC. The PC version of the game is going to have "at least" 16 player co-op play throughout the game. The remake of the classic game is done in Croteam's new Serious Engine 3.0 and will also be available on the Xbox Live Arcade about the same time as the PC release. Sadly the Xbox version will only support four players. At least it still has sunshine and lollipops though...right? Want Serious Sam HD on Your PS3? Speak Up! Page created in 0.2227 seconds.